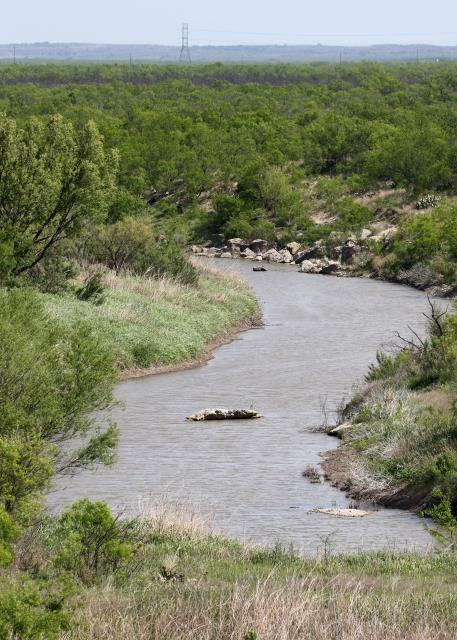 A view of the North Concho River that feeds O.C. Fisher Lake (or reservoir). When the river is full and flows normally, the large rocks are submerged. Just shows we're still in a serious drought!